Middlesex University held its’ annual Scholarship and Awards event on 17 November to celebrate student success and thank donors for their generous contributions to academic endeavour. 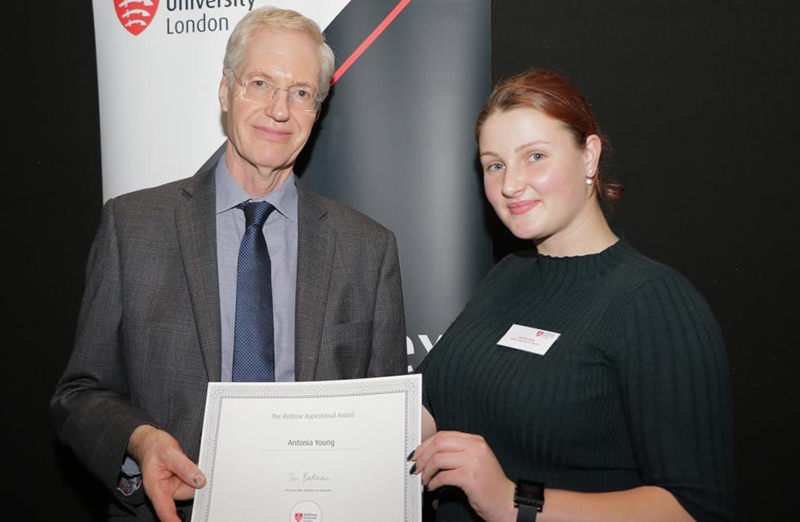 The evening showcased a number of inspirational stories including that of first year BA Criminology and Youth Justice student Antonia Young who received the Redrow Aspirational Award. Antonia’s life changed at the age of 20 when she was diagnosed with cancer. She had never imagined going to university but after beating six gruelling months of chemotherapy she decided to alter the direction of her life. “I knew after surviving cancer treatment I had the potential to do whatever I put my mind to,” she said. Sheikh Muhidin Sheikh, a third year BSc Sports and Exercise Science student, was awarded a Middlesex University Sports Scholarship. Sheikh was involved in a road accident at the age of six and has been in a wheelchair ever since. He is committed to realising his dream of competing at the Tokyo Paralympic Games in 2020. “Receiving this scholarship allows me to progress in sport by allowing me to purchase equipment that is vital in my search for gold,” he says. “It also makes me happy that my University has acknowledged my achievements and recognised I am a worthy individual for this opportunity to help with my sporting career. 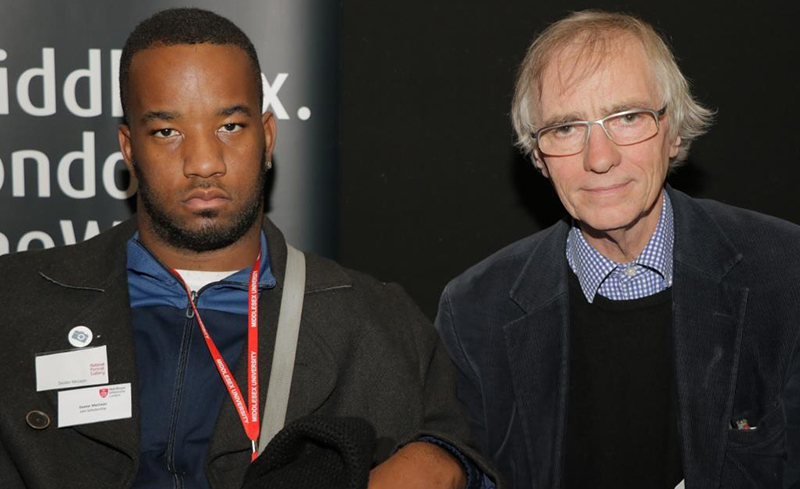 Meanwhile BA Photography student Dexter McLean received the JAH Scholarship which is open to students in the Faculty of Arts and Creative Industries who have overcome physical challenges to complete their studies. “I would like to thank the donor for this opportunity as it is helping me in my final degree show,” he explained. Middlesex University distributes almost £500,000 worth of scholarships to more than 100 scholars based on criteria including academic excellence, achievement, financial disadvantage and overcoming physical challenges. Benevolent donors play an integral role in widening the wealth of opportunities and access to employability for Middlesex students through scholarships and awards. “At Middlesex University we pride ourselves in transforming the lives of students by providing them with the tools and learning they need to be the leaders of tomorrow,” explained Professor Tim Blackman, Middlesex University’s Vice-Chancellor.